In the Los Angeles archdiocese, the week end of February 14th and 15th is dedicated to launching the “Together in Mission” campaign. You are aware that the purpose of this operation is to make us more sensitive to sharing. Every single parish, even the poorest one, must give 10% of its budget to the archdiocese, which then assists and helps schools and subsidized parishes. Our own parish has been receiving this type of help and assistance until July 2008. 48 schools and 35 parishes benefit from this assistance program. In this year of exceptional crisis, the inspiration of the theme for this campaign comes from Psalm 32,7: “I turn to you Lord.” The goal to attain is $15,223,106.00. This week-end, we ask you to make a monetary pledge. Be it by week, by month, by quarter, or on an annual basis, please make a pledge, and give however much you believe you can share with those who are the most in need. In 2009, Saint Sebastian must provide $16,294.99. We have the whole year ahead of us to gather this sum. If we succeed, that will be marvelous. If not, then the parish will have to make up for the amount; however, if we exceed this amount, the surplus will be returned to the parish to spend on its own activities. 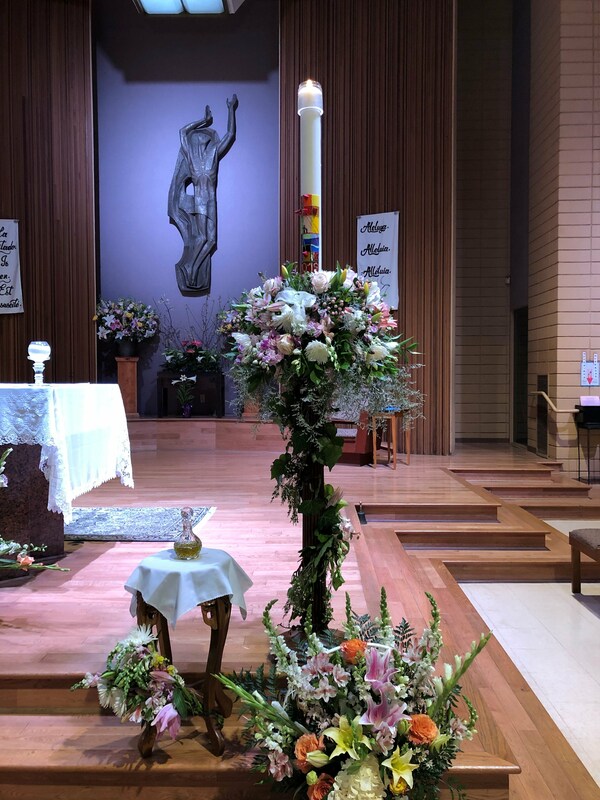 Last week-end, that of February 8th and 9th, we celebrated the catholic World Day of Marriage. We have prayed for families, and we gave a special blessing to those couples who participated in the Eucharist that week-end. February 11th will mark World Day for the Sick. We invite all of those who are ill, all of those who do not feel well either spiritually or physically, to come and join in with the imposition of hands and the anointing, which will take place at every Eucharist during the week-end of February 14th and 15th. The Lord comes to the rescue of those who suffer. We, Christians, must be in solidarity with them and with the pain and the cross our sick brothers must bear. Through the imposition of hands and through anointing, the Church expresses its tenderness and its support towards today’s men and women who, with Christ, must bear the burdens of sickness. Let us pray the Lord, so that the sick and their families may feel Christ’s presence and support in their suffering. Let us pray the Lord, so that every Christian and every man and woman of goodwill may feel the pain that strikes the members of the body of Christ, the Church, and all of mankind. El fin de semana del 14 y 15 de febrero está consagrado en arquidiócesis de Los Ángeles al lanzamiento de la Campaña “Together en Misión”. Este fin de semana les pedimos que se comprometan a dar por semana, al mes, por trimestre, por semestre o por el año la suma que creen que pueden compartir con los más necesitados. San Sebastián debe dar en 2009 $ 16.294,99 Tenemos todo el año para reunir esta suma. Si reunimos más mejor; si no llegamos a la meta, la parroquia debe completar el resto y si sobrepasamos la meta, el excedente regresa a la parroquia para sus actividades propias. Para lanzar la campaña, retransmitiremos en todas las Eucaristías de este fin de semana, la homilía que el Cardenal Mahony pronunció para invitarnos a comprometernos en “Together en Misión”. El pasado fin de semana (8/9 de febrero) celebramos el Día Mundial del Matrimonio. Oramos por las familias y tuvimos una bendición especial para las parejas que participaron en las Eucaristías de ese fin de semana. El 11 de febrero es el Día Mundial del Enfermo. Invitamos los enfermos y todos los que no están bien física o espiritualmente para que aprovechen de la imposición de manos y de la unción que tendremos en todas las Eucaristías del fín de semana del 14 y 15 de febrero. El Señor ayuda a los que sufren y los cristianos somos solidarios de las dificultades y de las cruces cargadas por todos nuestros hermanos enfermos. La Iglesia, con la imposición de las manos y con la unción de los enfermos manifiesta su ternura y su apoyo a los hombres y a las mujeres que cargan hoy con Cristo el peso y el sufrimiento causado por la enfermedad. Oremos al Señor para que los enfermos y sus familias sientan la presencia y el apoyo de Cristo en su sufrimiento y para que todos los cristianos y todos los hombres y las mujeres de buena voluntad se sienten solidarios de dolor que afecta a los miembros del Cuerpo de Cristo, la Iglesia y todos los humanos.